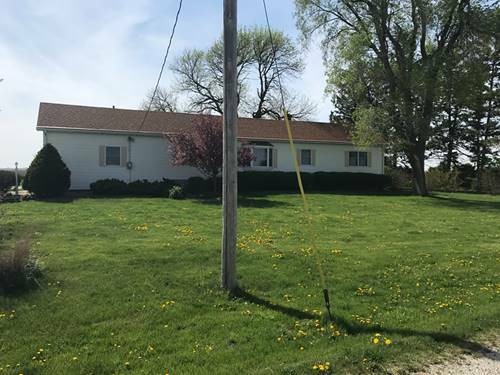 2 Acres of country living, This 3 bedroom home has a split bedroom design, nice sized eat in kitchen with ample cabinet space, living room and dining room and 2 full bathrooms and a half bath make this home very appealing. There is a large 2 car garage and a unfinished basement. Close to town yet far enough to be able to enjoy country living. Check this one out, its well worth a look. Building is NOT included. A future survey will determine dimensions. For more information about 345 N 200 East, Gibson City, IL 60936 contact Urban Real Estate. Listing provided by Cornerstone Real Estate-G.C.